Luxembourg, a small and beautiful European country has a flourishing cultural history primarily in the field of music, painting and photography. All through the year, many festivals are celebrated which also portray that the traditional heritage of the country has not been foreshadowed. Architecture too, with remarkable edifices such as the Vianden Castle and the Echternach Basilica, illustrates the exquisiteness of the civilization that has passed through the hands of Romans and Germans. Even more remarkable is the fact that Luxembourg, being an important part of the EU enjoys the benefits of an open European market. Though small in size, Luxembourg dreams big, and that will be evident in the facts that we have put together for you. 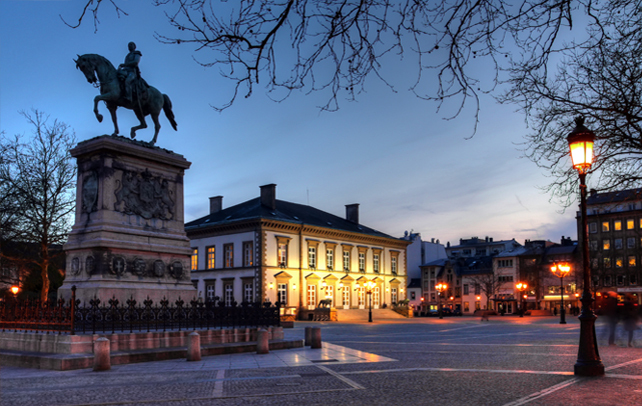 Go through rest of the portion to know in detail, the captivating facts about Luxembourg. Religions: Roman Catholicism (predominant); Judaism, Greek Orthodoxy, Anglicanism, Russian Orthodoxy, Lutheranism, Mennonitism and Islam. Luxembourgish is a Franconian language of the Moselle region and is quite similar to German and Dutch. It has the highest GDP per capita in the world and its GDP is almost three times the average GPD of EU. Besides this, it is the uplink house of SES, carrier of major European satellite services in Germany and Britain. Luxembourg contributes to the highest sale of alcohol in European GDP. Though Luxembourg is secular, it is the Roman Catholics that are predominantly existent in the country, about 87%. Remaining 13% include people belonging to Judaism, Anglicanism, Greek Orthodoxy, Russian Orthodoxy, Mennonitism, Protestant Christians, Orthodox Christians, Islam and Lutheranism. German is the first language which is taught in schools of Luxembourg and is also used by the Church and media. However, all the businesses and official dealings are done in French. The education system of Luxembourg is trilingual; students in primary schools are taught in Luxembourgish in the initial stage before changing to German, whereas in the secondary schools lectures are delivered in French. The main industries of this small European country are iron and steel, banking, food processing and chemicals. In 2005, it was selected as the third leading country for business efficiency in Europe. It is the least populated country amongst all the member countries of European Union. Along with this, it is the 20th smallest country of the 194 independent nations of the world. The Heritage Foundation, an American company, ranked Luxembourg as the first in Europe and fourth in the world for economic freedom. This European country has two regions: the Gutland in the south and the Oesling in the north. The Northern part of the Luxembourg is not very populated; it only has one town with population of just above 4,000. Due to its banking secrecy laws, Luxembourg has attained the reputation of a tax haven. 23rd June is celebrated as the National Day of Luxembourg and is also the birthday of the Grand Duchess, Charlotte. In 1995, Luxembourg was titled, for the first time, as the ‘European Capital of Culture’. It was again honoured with same title in 2007, thereby making it the first county to be titled twice.